During the course of the twelfth century, increasing numbers of Jews migrated into western Christendom from Islamic lands. But western Christendom was both appealing and threatening to the Jewish immigrants. Indeed, western Christendom was entering a phase of intense missionizing activity, some of which was directed at the long-term Jewish residents of Europe and the Jewish newcomers. 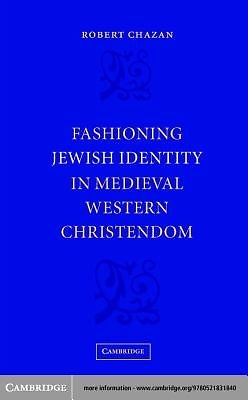 The writings of twelfth- and thirteenth-century leaders from southern France and northern Spain constitute the first evidence of Jewish anti-Christian polemics from within western Christendom. These leaders were fully cognizant of the core Christian thrusts, described them in detail for their co-religionists, and rebutted them carefully. This study recreates some of the clarification and rebuttal, and examines the techniques of persuasion adopted by the Jewish polemicists in order to reassure their Jewish readers of the truth of Judaism and the error of Christianity.